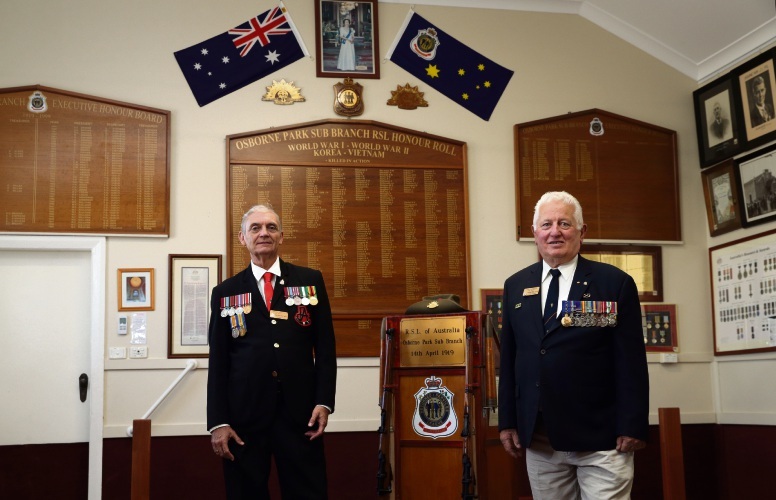 WHEN World War I veterans began meeting at a produce store in Osborne Park in 1919, they did not know it would grow into a 100-year-old RSL sub-branch. 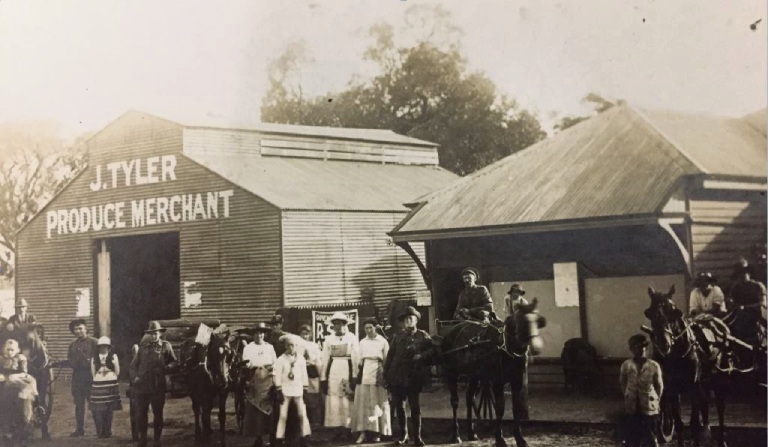 The returned servicemen formed Osborne Park RSL sub-branch on April 14, 1919, and met at John Tyler’s store on Main Street. The sub-branch is holding private and public events to mark its centenary, starting with an official service on April 12 at the Memorial Hall. RSL members meeting at John Tyler’s store in 1919. President Norm Wells said land was donated near the corner of Cape and Main streets to build the hall. 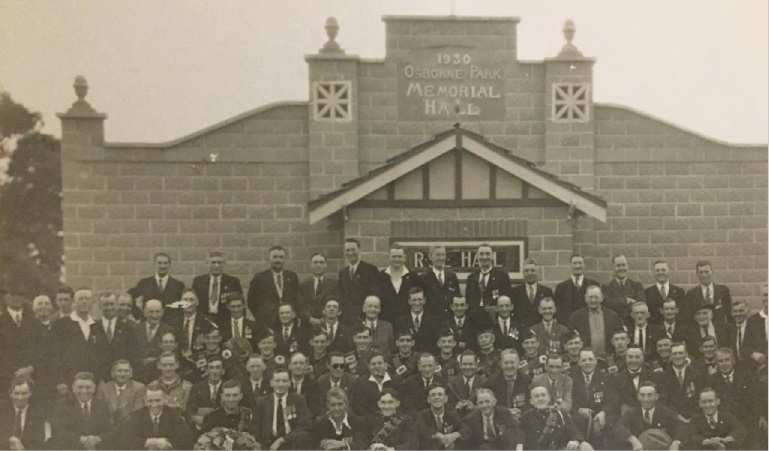 “Fundraising by the local community, and with bricks made by sub-branch members, the Osborne Park RSL hall was built and opened by World War I General Sir Talbot Hobbs on November 22, 1930,” he said. A public exhibition of memorabilia from the organisation’s 100-year history will be on display at the hall on April 13 from 10am to 2pm. Anzac Day at Osborne Park RSL Memorial Hall circa 1930s.